This was a commissioned sculpture. 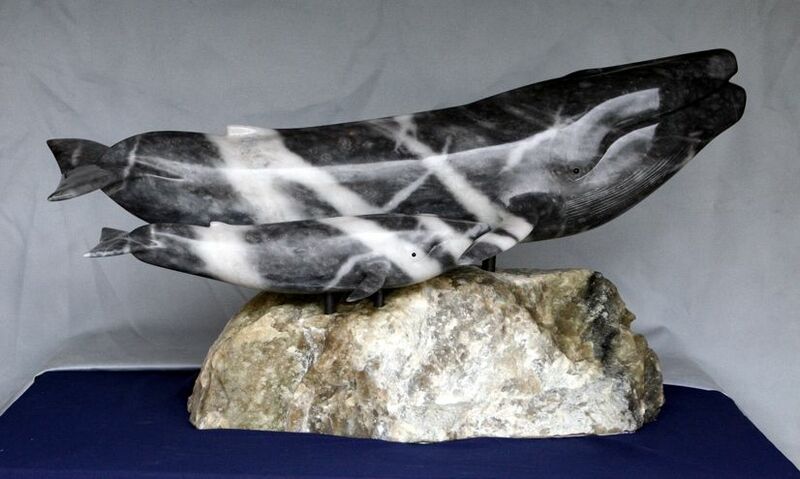 Both whales were carved from a single piece of Turkish marble, that weighed 606 lbs. The eyes are made of Tourmaline and it is mounted on a brucite base. The whales have a realistic number of throat grooves; engraving and sanding them took many hours. Dimensions: 38"x21"x20", total weight is about 300 lbs.